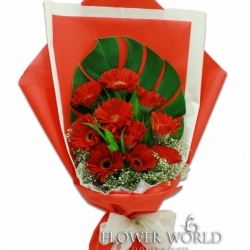 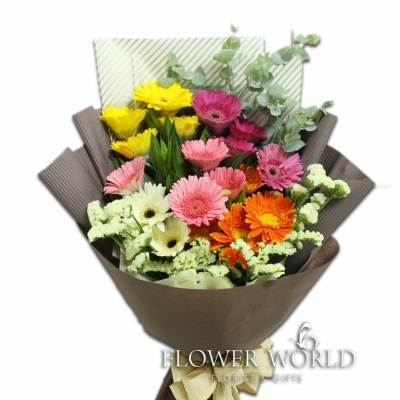 20 gerberas in different colours arranged in a bouquet together with statice and eucalyptus leaf. 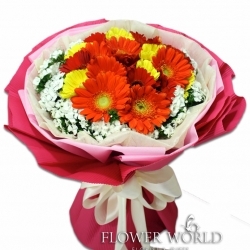 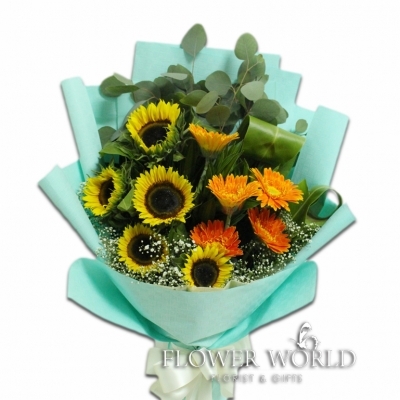 A bouquet of 5 red daisies and 5 orange daisies arranged with statice. 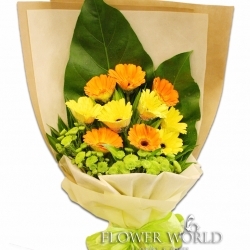 10 white gerberas accompanied with green buttons arranged in a round bouquet. 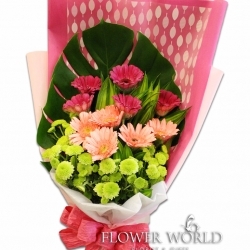 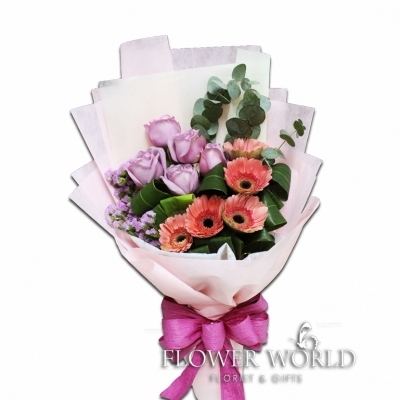 A round bouquet arranged with 5 purple and pink gerberas, wrapped with matching colour wrapping paper.